Torquato & Gil, late 1960s. Torquato Neto wrote the lyrics for the first “Vento de maio” here in partnership with Gilberto Gil just before the Tropicália movement they were such an important part of took off. 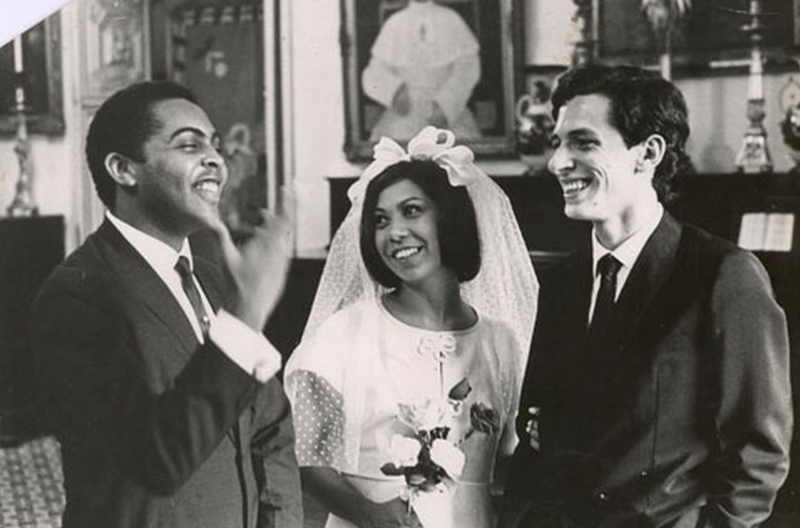 Gil, Ana Duarte and Torquato at Torquato’s wedding in 1966. Neto (November 9, 1944 – November 10, 1972) was a lyricist, poet and journalist born in the arid northeastern Brazilian city of Teresina, Piauí. He was fascinated with poetry and activism from a young age: At eleven, he requested the complete works of Shakespeare from his parents; at fifteen, he was kicked out of his school in Teresina for his political rabble-rousing. 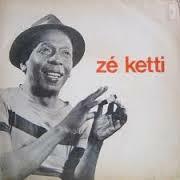 Neto then spent three years studying in Salvador (1960-63), where he first became acquainted with the Bahian musicians Gilberto Gil, Tom Zé, Caetano Veloso and Caetano’s sister, Maria Bethânia, and Gal Costa, along with the Bahian lyricist and poet José Carlos Capinan, who would also become a pivotal player in Tropicália. 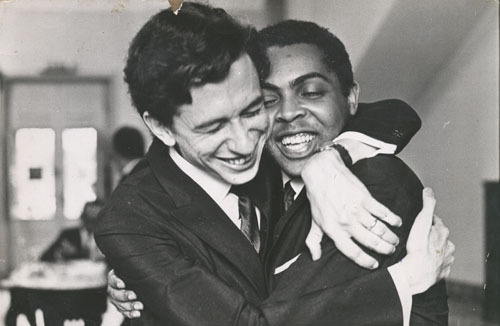 In 1965, Gilberto Gil and Caetano Veloso moved to São Paulo and spent a lot of time between there and Rio, and that’s when their collaboration with Neto really got going. In 1966, Elis Regina and Jair Rodrigues recorded Neto’s and Gil’s “Louvação,” and the song became Neto’s first big hit as a lyricist. That same year, Wilson Simonal released “Vento de Maio”, and in 1967 it became an even bigger success with Nara Leão’s recording of the song as the title track of her album. 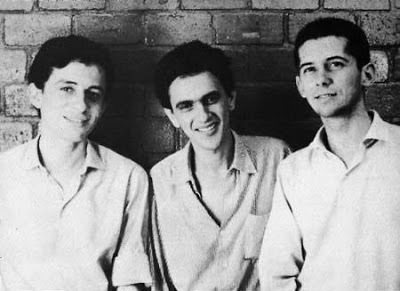 Torquato Neto, Caetano Veloso, and José Carlos Capinan. Torquato Neto at Rio’s D’Engenho de Dentro Psychiatric Hospital. It’s no coincidence that Neto died a day after his twenty-eighth birthday. He committed suicide after struggling with depression throughout his twenties, leaving a note with a flurry of disconnected thoughts that ended by asking those who found him not to wake his three-year-old son. 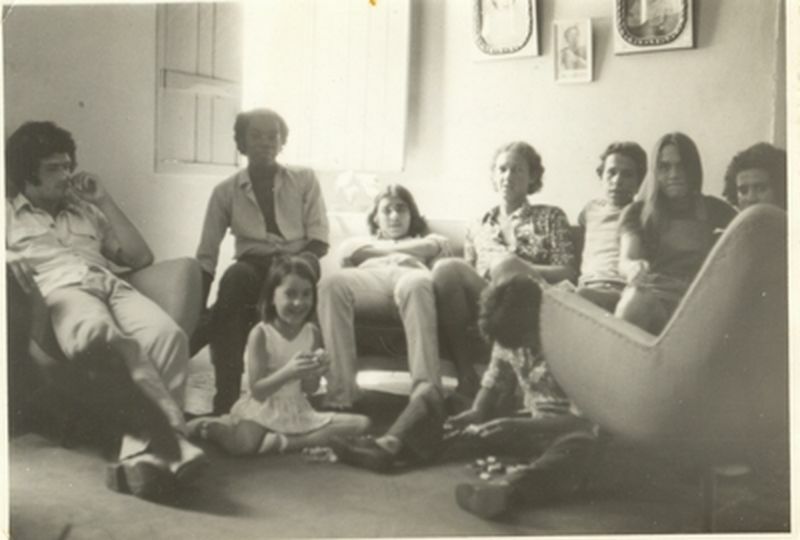 L-R: Mané Buxa, Milton Nascimento, Jaceline (on floor), Lô Borges, Célio Cabral, Telo Borges, Duca Leal and Márcio Borges at Milton Nascimento’s house in Três Pontas, Minas Gerais, 1971. 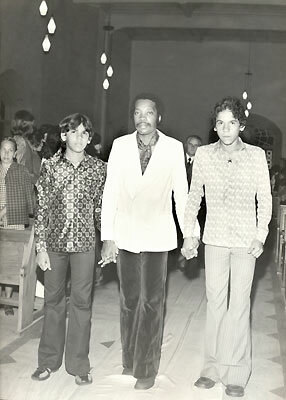 Milton Nascimento in the middle and Telo Borges at right in Belo Horizonte in 1973, celebrating 35 years of marriage for the Borges’s parents. “Vento de maio” (1979) is Telo Borges‘s first recorded composition. Telo, born January 22, 1958, is the younger brother of Márcio Borges (b. January 31, 1946) and Lô Borges (b. January 10, 1952). 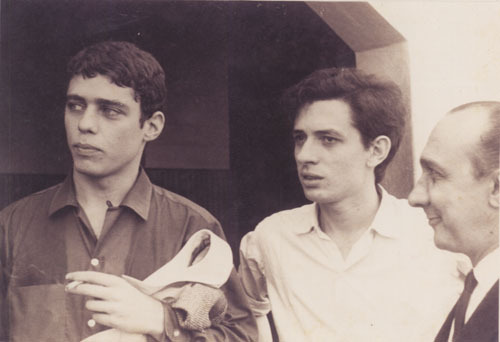 The older Borges brothers became famous when Telo was still just a kid, through their participation in Brazil’s famed music festivals of the late 1960s. Their careers especially took off in the early 1970s, after their release of the groundbreaking 1972 album Clube da Esquina alongside Milton Nascimento and other clube da esquina (“corner club”) musician pals from Minas Gerais. In this song, Telo makes several references to the song “Um girassol da cor do seu cabelo” from that album, by Lô Borges and Márcio Borges (and one of the first songs on this blog). References include “our song comes on the radio, sol, girassol“; “just one of those stars in the depths of the sea”; and even the way the song revolves around wind and solar rays : “Girassol…” begins with “vento solar e estrela do mar” (solar wind and starfish). 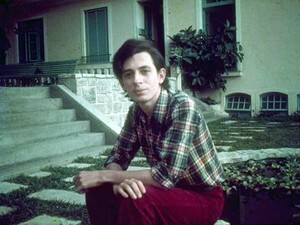 Around the time Clube da Esquina was released, Telo began to spend his vacations at Milton’s house in Rio, and participated in the recording of Milton’s 1973 album Milagre dos Peixes. At age 17 he composed “Vento de maio,” which he says was about a romance he was living at the time. Elis Regina recorded the song together with Lô Borges on her 1980 LP Elis, bringing greater recognition to Telo, who went on tour with Lô that year as part of the Projeto Pixinguinha. Moacir Santos lived in the Los Angeles area from the late 1960s until his death in 2006. 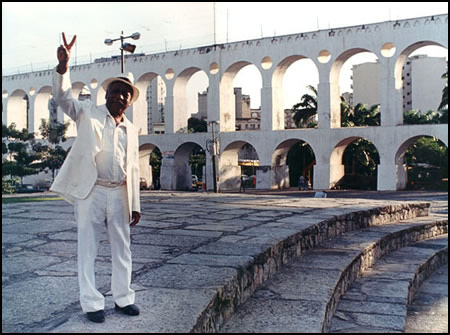 One evening in the early 1960s, as he took one of his customary strolls through Parque Guinle in the Laranjeiras neighborhood of Rio de Janeiro, Moacir Santos — the renowned instrumentalist, arranger, composer and music professor from rural Vila Bela, Pernambuco, who moved to Rio de Janeiro in the late 1940s and Los Angeles in the late 1960s — hummed to himself. And he liked what he heard. 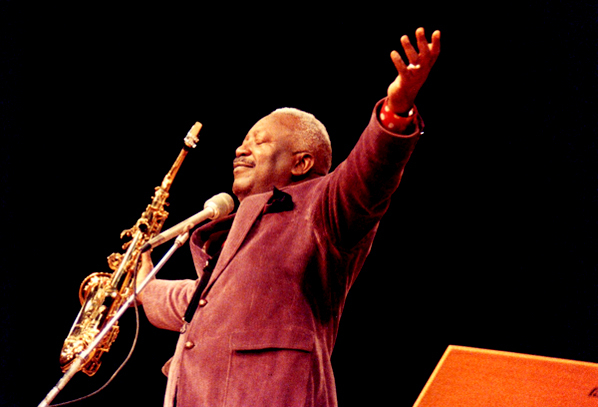 He sang low: “nã nã nã” (the ã is the nasal sound in Portuguese), a tune that resolved in two very low notes that helped him structure the melody. Santos began to play his new tune on the clarinet in informal get-togethers with Tom Jobim and Baden Powell; on one of those occasions, Nara Leão was there with her future husband, the filmmaker Cacá Diegues. Diegues loved what he heard, and had Nara Leão record the song — still without lyrics — for his 1963 film Ganga Zumba. Nanã is actually the supreme god in certain African sects, and a female orixá in Afro-Brazilian religions, mother of all other orixás and the oldest goddess of the waters, most often syncretized with the Catholic Saint Anne, the mother of Mary. Moacir Santos gave his student Sérgio Mendes the task of orchestrating “Nanã” and “Coisa no. 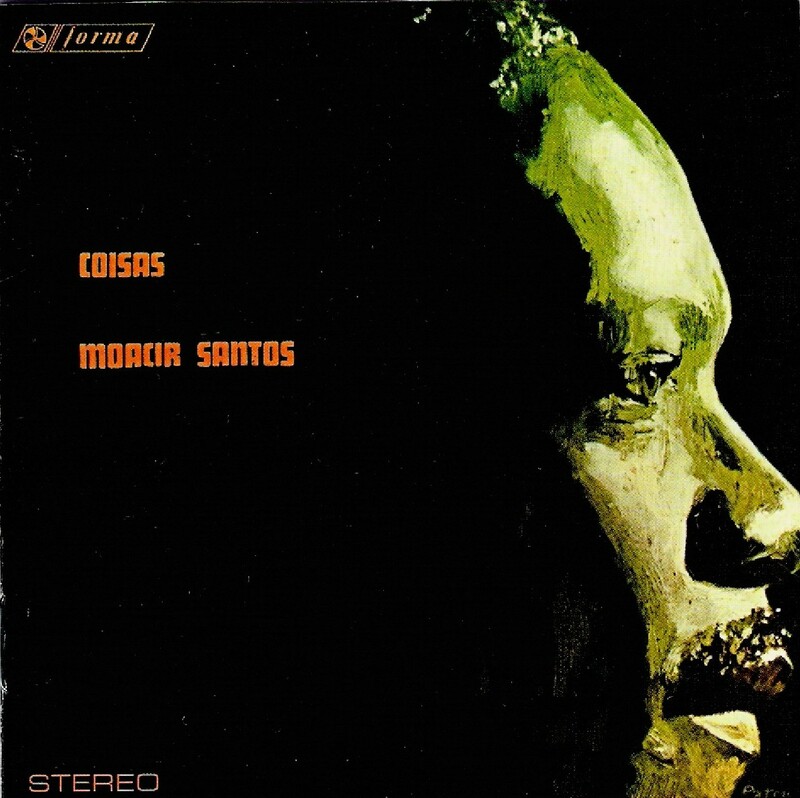 2” — the latter from Santos’s only Brazilian album, Coisas (1965), on which each track is just named “Coisa no. 1”; “Coisa no. 2,” etc. (“Thing 1; thing 2…”). 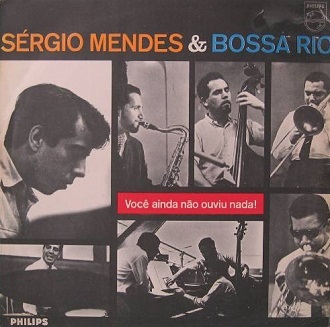 Santos suggested the unusual ensemble of two trombones and a saxophone, which ended up inspiring the original make-up of Sérgio Mendes & Bossa Rio. As a sextet, the group went on to record “Nanã” – along with “Coisa No.2” — on the iconic 1964 album Você ainda não ouviu nada!.